In this DIY tutorial, we are going to describe the process involved in Adding a Secondary Hard Disk and formatting it. A secondary hard drive refers to addition of a Hard Disk to a computer. When you connect a secondary hard disk, it is detected by the computer in BIOS as well as the Operating System. But it is not listed in the My Computer. So it needs to be formatted. How do I know that the Hard Disk is connected? #1. Power on the Computer and when you see the startup screen, Keep on tapping the F2 key or DEL (may vary for older computers), Just tap the key which is used to Enter computer BIOS. #3. Go to BOOT Tab. In the BOOT Tab you can see Hard Disk(s), just press enter. #4. If you see two Hard Disks listed then you have done everything correctly. #5. If No, Watch the above video carefully and perform the task again. 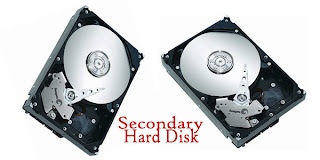 How to Format and Use the Secondary Hard Disk? #1. After you login to Windows, Click on Start. #2. Just type, “Disk Management”. Of course without quotes. #3. Disk Management Window will open, then you can see Disk 0 and Disk 1. #4. Select the newly added Drive and right click on it and Click Format [WITH EXTREME CAUTION, Select the Newly added one not the Boot Partition]. #5. Your Secondary Hard Disk is ready for use now. If you have any doubts, just post them in the comments section.